What Are The Benefits Of Window Treatments? New window treatments could be exactly what your home needs. Window treatments can be characterized as interior decorating items that are placed in or around windows. Examples of such include window shades, window blinds, and window shutters. In addition to enhancing the aesthetics of the room, window treatments also serve many purposes. Here are a few of the top benefits of window treatments! If you want your home to have more privacy, window treatments are a great option to consider. Most types of window treatments can quickly be opened and closed in a moments notice. If you are concerned about nosey neighbors, window treatments can stop people from peering into your home. This will give you peace of mind that you aren’t being watched from the comfort of your home. Many homeowners like to take advantage of natural light inside their homes. This is a great way money on your electric bills. However, it is nice to be able to have complete control over the amount of light that enters your home. For example, on days that it is exceptionally sunny, you may not want to open your window shades all of the ways. However, there will be days where you want to open the treatments all the way to take advantage of the natural sunlight. With window treatments, you have better control over the temperature inside of your home. 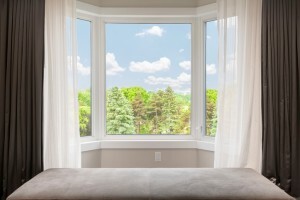 Many homeowners do not realize that windows have a significant impact on a home’s interior temperature. Window treatments will help keep your home insulated, so you don’t need to spend extra money on utility bills. Window treatments allow you to change the appearance of a window completely. A standard window can be transformed with a new set of curtains. If you aren’t satisfied with the window treatments in your home, they can usually be easily switched out for something different.